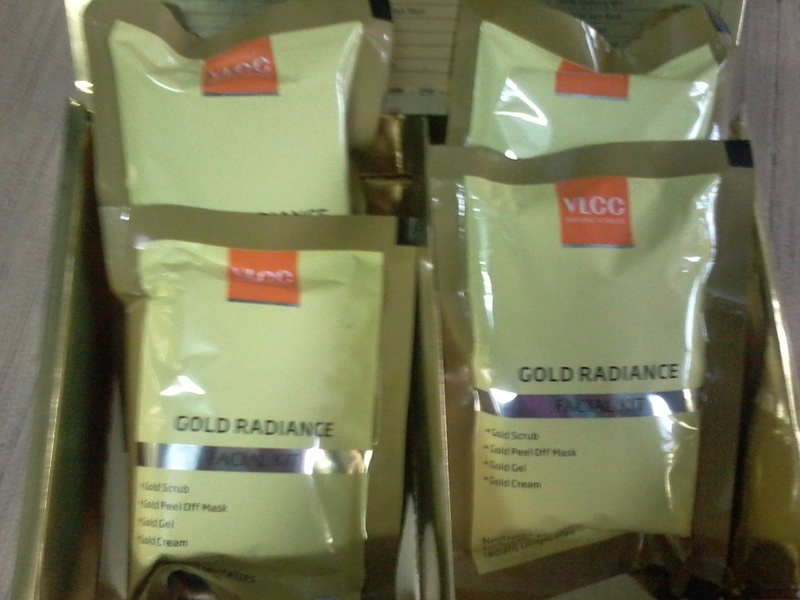 Recently I got a new Home facial kit , its VLCC home facial kit from Homeshop18.com. Its an excellent product for doing facials at home . Price of the kit is Rs1300 . contains 6 small packs . From one pack one can do facial twice ,so total 12 facials can be done from this kit. Each pack contains 4 sachets . 1. First one is Gold Scrub with turmeric and gold leaf. This scrub is a gel kind of thing with gold and turmeric , it helps to exfoliate the skin removing dead cells and black heads .One needs to wet it with little water and rub on face and neck for good 5-10 minutes in circular motion after which this should be washed off with plenty of water.It also contains Aloe Vera , Sandal Wood , Vitamin E .
2.Second one is Gold Peel off Mask . It contains extract of aloe vera , sandal wood , lemon peel , turmeric , Gold oxide , Vitamin E.
It is also a gel kind of thing , needs to apply on skin and should be left for 20 minutes to dry .After drying a thin mask is formed on skin which should be peeled off starting from neck area in an upward motion. 3.Third one is Gold Gel . Gold gel is a massage gel which should be first applied to face and neck and should be massaged for around 10 -15 minutes .It contains Gold leaf , sandal wood ,turmeric and Galnut. It revitalises the complexion by providing intense nourishment. 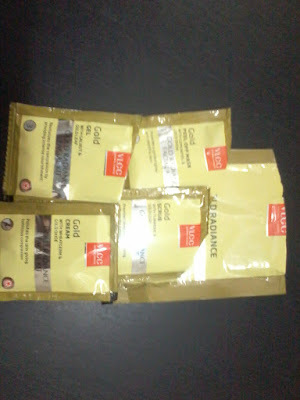 4.Fourth one is Gold Cream . Gold cream is a moisturizing cream with Vitamin C and E , extract of sandalwood , wheat germ and Gold .It polishes the skin giving a Luminous complexion. It is the last thing to do in this facial . After the first 3 steps , one needs to face wash then pat it dry and then apply this Gold cream and massage gently for few minutes till it is absorbed on the skin. I have used this only one time and I am satisfied by this product , its an excellent product from VLCC. using this one can easily do facial at home . After using this my skin really felt good , clean and clear and the best part is it was Glowing. So its very effective . One can do the entire facial with in one hour . I know it cannot be compared with the facials done at Beauty Parlour , which are done by experts but still I would say its very good .If one does not has time to visit parlour , one can try this . Easy to do and very Economical too. Seems to be a good one ! 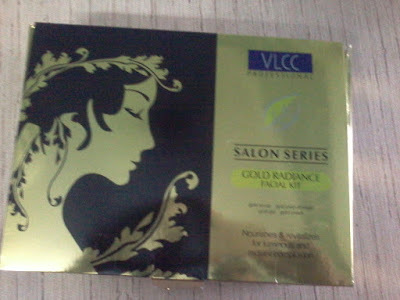 I love tell my mom about this as she likes vlcc products!